A special stand just for your Nord Stage. 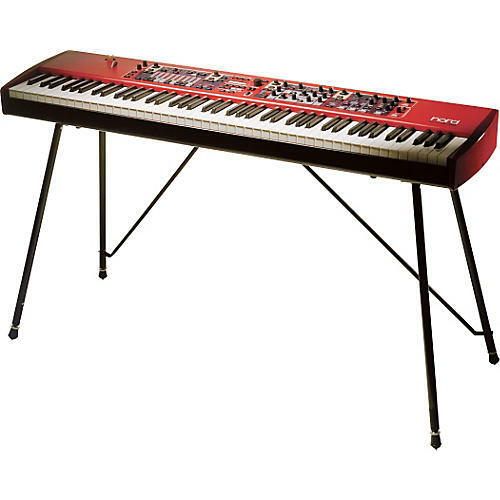 Both the Nord Stage keyboard and Nord C1 Combo organ use these optional legs. They come with mounting hardware, adjustable feet, and the A-brace. Once the mounting brackets are installed, they never have to be removed, and they do not prevent the Stage or Combo from fitting in their respective cases. An essential accessory for those needing a hassle-free keyboard stand. Note: Stand only, keyboard not included. Give your Nord Stage proper support. Order this stand today.